If you are looking for more information on the required legal documents this page should have all the information you are seeking. However you are always free to contact our professional wedding planners at 866-503-4400. They are here to help you with anything you need to make your Las Vegas wedding perfect. Obtaining a marriage license is pretty simple. First thing you need to do is fill out the Marriage License Pre-Application Form. You and your fiancé must still apply in person at the Marriage License Bureau. 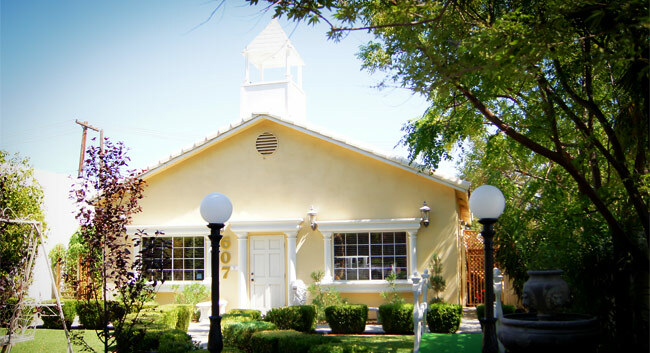 But not to worry, located at 201 E Clark Ave in Las Vegas, NV, the Marriage License Bureau is located very close to the Mon Bel Ami Wedding Chapel. The fee for a marriage license is $77, payable by cash, cashier’s check, money order, or credit card. Applicants may use American Express, Discover, MasterCard, or Visa. There is an additional $5.00 service charge for credit card transactions. 8am to midnight every day of the year including Holidays. Your marriage license is good for one year from the date it is issued. In other words, you must get married in Las Vegas within a years time from when your obtain your marriage license. There is no waiting period or blood test required for couples getting married in Las Vegas. (Domestic Partnership questions should be directed to the office of the Secretary of State in Carson City, Nevada at 800-992-0900 or at www.nvsos.gov) Both parties must appear in person before and said couple cannot be closer in relation 2nd cousins or cousins-in-law. Of course, marriage licenses cannot be issued to someone with a current living husband or wife. Must be 18 to get married in Las Vegas. There are exceptions made for individuals 16 or 17 years old, however they must provide written parental consent. This consent can be from a father, mother or legal guardian and can either be signed in person at the Marriage License Bureau or through a signed, notarized declaration. Any other questions regarding this matter can be handled by calling the Marriage License Bureau at (702) 671-0600. After you are married additional documents will be needed for name change purposes, etc. It is important to note that these documents will not be automatically sent to you. 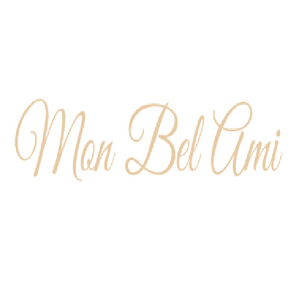 For your convenience, Mon Bel Ami Wedding Chapel is here to help take care of all your post marriage paperwork – no matter if you were married with us or not! As long as you were married in Las Vegas, Mon Bel Ami Wedding Chapel can help you take care of all of your post marriage paperwork. 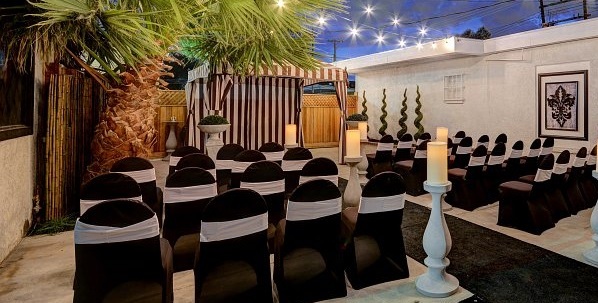 Couples from outside of the US seeking to tie the knot at Mon Bel Ami’s Las Vegas wedding chapel can do so quite easily. Marriage license requirements and acceptable forms of identification are the same as for US citizens (preferably your passport). 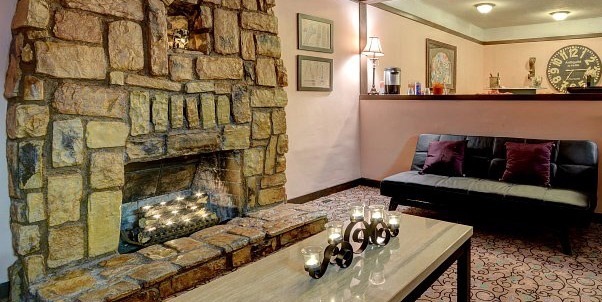 Mon Bel Ami Wedding Chapel will provide you with a copy of your marriage license after the wedding which is legally recognized in most countries. NOTE FROM COUNTY RECORDER: When a citizen of a country that abides by the Hague authentication treaty is married in Las Vegas, proof of the marriage consists of a certified copy of the marriage certificate (proof that the marriage ceremony was performed) and an Apostille. Some countries may also require a certified copy of the marriage application (license) as well. Please check with the appropriate agency in your country. If you do reside in a country that abides by the Hague authentication treaty, marriage license paperwork will include instructions for receiving a certified copy by mail or online. From the day you are married, the Minister has 10 business days to file the paperwork with the Clark County Recorder’s Office and as soon as it is on file you can order a certified copy online. Be patient, if you are from out of the country it could take up to 3 weeks to receive it. If you plan on extending you holiday in Las Vegas after your wedding, there is also the option to pick it up yourself from the Clark County Recorder’s Office. We also offer an expedited service to receive the certified copy of your marriage certificate. This will allow you to pick it up the next business day after 5pm. If you’re planning on leaving Las Vegas immediately after your wedding ceremony, this document can also be mailed to your home address. If you live in a country that requires an apostille, it can be ordered at the same time, but, it does take much longer to receive. The time frame can range from 6-8 weeks because the order for this and the certified copy of the marriage certificate must be sent to the Secretary of State. The apostille simply confirms that the signature, stamp, seal and form are genuine so that we can prove to your country that you were legally married in Las Vegas and that everything is accurate. Please check with your country’s consular offices in the event the requirements may have changed. If you are looking for more information on the required legal documents this page should have all the information you are seeking.